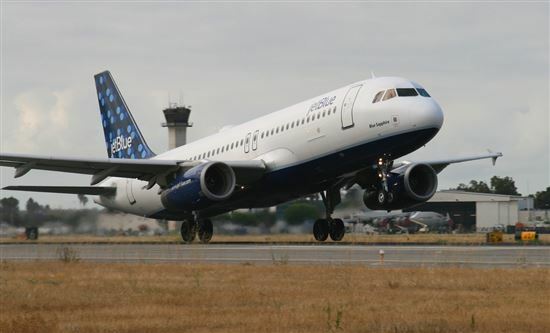 JetBlue is one of America's favorite budget airlines, taking travelers across America and the surrounding areas at low cost. If you find yourself flying on JetBlue at least once a year, you may want to consider one of the the co-branded credit cards offered by Barclaycard: JetBlue Plus. 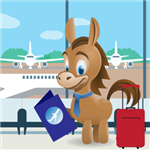 1/30/2018 Update: We're sorry, JetBlue Plus Card is no longer available on CreditDonkey. This offer may have been discontinued or may no longer be available to new applicants. Did you know: There is a travel credit card that earns 2x miles on all purchases? And you can redeem the miles for a statement credit toward airfare purchases, including at JetBlue. Read the Capital One Venture review to learn more. The JetBlue Plus has a $99 annual fee, but its sign-up bonus and rewards are a lot bigger. We think that despite the annual fee, the JetBlue Plus is the better deal. JetBlue credit cards earn TrueBlue Points, which you can redeem towards any JetBlue flight, with no blackout dates and no seat restrictions. Your points never expire, as long as your TrueBlue account remains open. Using your points is very easy. 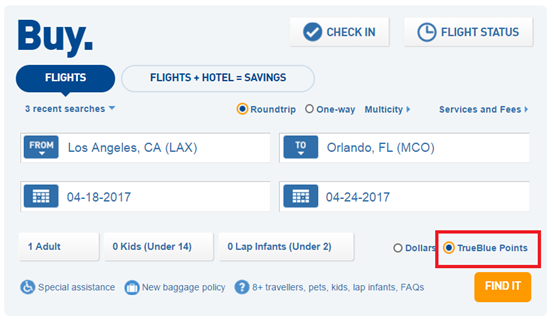 Simply sign on to your TrueBlue account (create it for free) to book travel, and select the option "TrueBlue Points." You will then see the flight options listed in points. You can also toggle back and forth between dollars and points to compare the value of the points. So what are TrueBlue points worth? Our estimate is that each TrueBlue point on average is worth about 1.4 -1.5 cents. 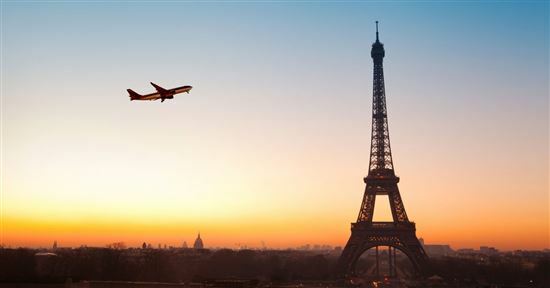 This means that 10,000 points could be redeemed for a flight that costs around $140. 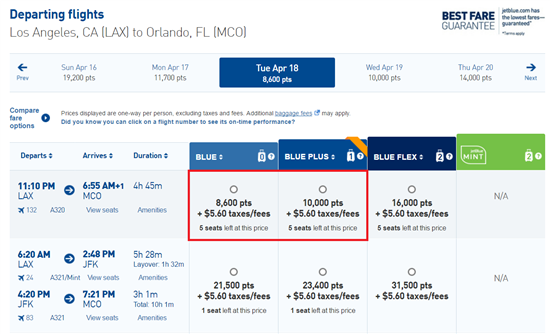 The dollar value of the highlighted flights is $131 (for Blue) and $149 (for Blue Plus). This means that the point value comes out to be 1.52 cents and 1.49 cents, respectively. This seems to be reasonable across most flights. You don't pay any surcharges for domestic flights, except for the $5.60 Security Fee in each direction. Tip: JetBlue cards also allow you to pool TrueBlue points with your family for free, so you can meet your goals faster. JetBlue's definition of "family" is pretty lax. It just needs to contain up to 2 adults and 5 children. The person designated as Head of Household can then redeem the family pool points for award flights. In our opinion, for an annual fee of $99, you get a lot more perks and rewards. First, the sign-up bonus is a LOT bigger. With the Plus, you get 30,000 bonus points after spending $1,000 in purchases in the first 90 days. This equals roughly $300 to ~$420 worth when you redeem, depending on how you value points. And you also get 6x points for every JetBlue purchase. Free first checked bag. With the Plus, you get the first checked bag free for you and 3 other companions on your reservation. Currently, if you book a Blue flight, the check-in price is $25 (at the airport). So if you are traveling in a group of 4 and everyone checks a bag, that alone will help justify the $99 annual fee. Get 10% of your points back with every redemption. You also get 10% of your points back each time you redeem them. And the better part? This is unlimited. There's no cap on how many points you can get back. Points are usually posted to your account within 4-6 weeks after your redemption is processed. 5,000 points anniversary bonus: You get a bonus of 5,000 points every year on your account anniversary. This is a pretty nice little perk to keep you using the card (again, with the 5,000 points equaling around $50 to $75, depending on how you value points). This and any point rebates you get will justify the annual fee. Keep in mind that it takes 4-6 weeks for bonus points to be posted to your account after your anniversary date. $100 statement credit when you book Getaways Vacation Package. When you book a JetBlue Getaways Vacation package of $100 or more, you get a $100 statement credit each year. Do you own a business? There is also a business version of the Plus card - the JetBlue Business card. High APR. There is no introductory APR offer for purchases or balance transfers. And the APR is 13.24%, 21.24% or 26.24% Variable, depending on your creditworthiness. So make sure you are able to pay off the balance each month. You only get bonus points for dining and groceries. 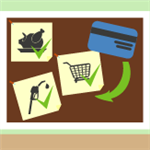 This is good if most of your everyday spending falls within these categories. 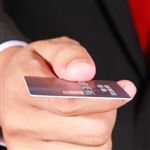 But if your spending is very varied, then consider whether another travel rewards card like the Capital One Venture Rewards may be a better fit. You can redeem on JetBlue flights. This isn't much of a problem if you know you will be taking JetBlue flights. But if you want more flexibility or will be visiting places JetBlue doesn't fly to, then think about whether a co-branded JetBlue card is right for you. Or if it's better to get a general travel rewards card that lets you use any airline. As of January 2017, you can only redeem your TrueBlue points on JetBlue and their partner, Hawaiian Airlines. Do You Fly Other Airlines? The Chase Sapphire Preferred card is one of our favorite travel rewards cards. 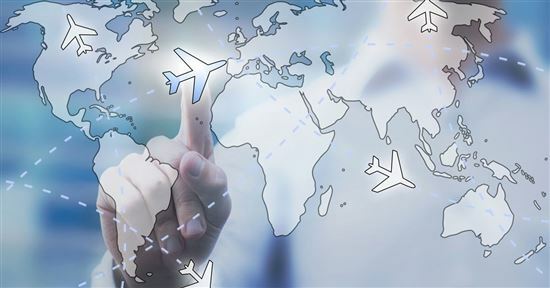 It has the ability to transfer to several airline and hotel travel partners, including Southwest and JetBlue. The value is quite good for the Southwest Wanna Get Away flights (with many routes just 4,500 points one-way). Gold Delta SkyMiles from American Express, a CreditDonkey partner: Gold Delta SkyMiles offers 30,000 bonus miles if you spend $1,000 on purchases within the first 3 months of opening your new account. In addition, you can earn a $50 statement credit after you make a Delta purchase within your first 3 months. This card earns airline miles: 2 miles for every dollar spent on eligible purchases made directly with Delta. Earn 1 mile for every eligible dollar you spend on purchases. There is a $95 annual fee ($0 introductory annual fee for the first year) (See Rates & Fees). 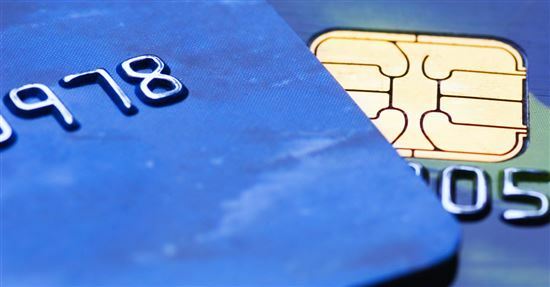 So, which JetBlue card is right for you? 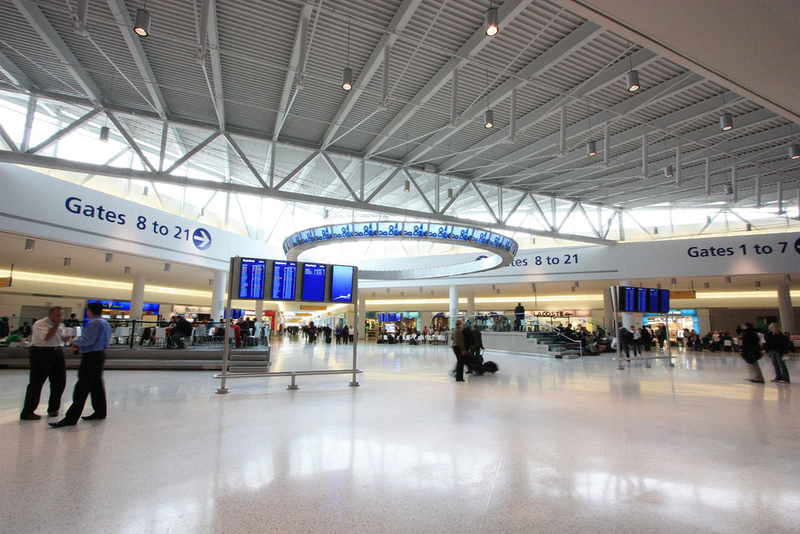 In our opinion, the JetBlue Plus has a lot to offer. The sign-up bonus, the 10% points rebate after each redemption, and the 5,000 bonus points each anniversary year are generous offers. And being able to check a bag free could help justify the annual fee if you fly with JetBlue a couple of times a year with a companion (or once with a family of 4). But if you don't fly JetBlue too often, consider if another card may be more convenient for you, such as a straight-up cashback card.